Mumbai: At the height of the global credit crunch late last year, Tata Realty and Infrastructure Ltd returned Rs800 crore to Tata Sons Ltd, months after the parent invested the money in its infrastructure unit. Credit markets the world over had seized up after the 15 September collapse of Wall Street investment bank Lehman Brothers Holdings Inc. The infrastructure unit returning the money to Tata Sons by reducing equity capital was a clear signal that funds were more urgently required elsewhere in the group. That transaction also illustrated the shift in mood at the Tata group from one of celebration earlier in the year to desperation, as 2008 drew to a close with the US, Europe and Japan buffeted by the first simultaneous recession since World War II. Tata Motors Ltd’s $2.3 billion (Rs11,130 crore today) acquisition in June of the British luxury marques Jaguar and Land Rover from Ford Motor Co. had occasioned the celebration; it was the second big-ticket overseas acquisition in less than two years by the group after Tata Steel Ltd spent $13 billion in 2007 to buy Anglo-Dutch steel maker Corus Group Plc amid a boom in commodity prices. By the time 2008 ended, the bottom of the luxury automobile market had fallen out and steel prices had collapsed as demand from auto makers and builders slumped. The group wasn’t wringing its hands. It was quietly preparing for the greater turbulence ahead in global financial markets. On 6 November, group chairman Ratan Tata forewarned managing directors and chief executives of Tata firms to conserve cash and draw down all loans and lines of credit from banks and institutions to the maximum extent possible. He told them to sew up pending loans and funding agreements even if it meant paying higher interest rates. “Some of our companies with substantial foreign operations or those which have made substantial acquisitions are already facing major problems in raising capital or establishing lines of credit for their operations," Tata wrote in the letter to the heads of 96 group firms. “In India also, many of our companies already are or will soon face major problems in their access to credit due to lack of liquidity in the domestic market, as also their inability to effectively raise equity due to the depression in the stock market and the erosion of investor confidence," he wrote. Tata Realty’s move to return capital was part of that group effort to conserve money and use it for more urgent purposes than to fund a fledgling infrastructure firm. The money was part of Rs1,000 crore that Tata Sons had put into Tata Realty earlier in the year. The move would have eased some of the pain and infused cash in companies that needed it the most. “Cash is always king," Ishaat Hussain, the Tata veteran who controls the purse strings as finance director at Tata Sons, said in an interview in March. “And cash has always been managed and, particularly in this scenario, cash has to be pulled out from every corner, from wherever possible." “What we did foresee was (that) money would get very tight. Some of us, who had the opportunity, went and raised money and built up liquidity. I certainly did that in Tata Sons. I saw storm clouds and I said money is still available, we can’t take the risk to wait. So, my entire financing for 2009, I completed in May 2008," Hussain said. In hindsight, the hunch proved correct. When Tata Motors came up with a rights offer in October 2008 to raise Rs4,145.80 crore, it found there were few takers. One of the underwriters, JM Financial Ltd, walked away from the sale. But thanks to the cash it had already raised, Tata Sons stood solidly behind the rights offer and bought all the stock that was spurned by shareholders. After Lehman’s demise, Tata Motors, the country’s largest auto maker by revenue, was battling a brutal downturn in demand for its products. At the height of the credit crunch, in November, sales in India dropped by 60% for heavy and medium commercial vehicles, 20-25% for light commercial vehicles and 30-35% for passenger cars across the sector. Tata Motors, by virtue of being the market leader in commercial vehicles, was the hardest hit. “Tata Motors is caught in a downturn in its core automobile business. Volumes have taken a severe beating across segments," Ramnath S. and Aniket Mhatre, analysts at brokerage IDFC-SSKI Securities Ltd, wrote in a report then. “The situation is grave, as indicated by the recent plant shutdowns announced by the company (six days at Lucknow and Pune plants, and three days at Jamshedpur in November) to realign production," they added. Vice-chairman Ravi Kant, in an interview in December, when he was CEO of the company, alluded to measures taken by Tata Motors to protect the company from bigger losses. “You will continue to hear that this or that plant is getting closed. It so happens that Tata Motors is first to react to this (demand slump) and closed production. Now you see everybody doing what we did," he said. Maruti Suzuki India Ltd, Toyota Kirloskar Motor Pvt. Ltd and Bajaj Auto Ltd had by then followed Tata Motors’ example and announced production cuts. The group is trying to trim costs and sharpen its competitive edge so as to compete better when the global economy is finally out of the woods. 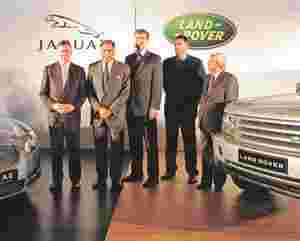 Tata Motors has hired international consultants Roland Berger and KPMG to advise it on how to slash costs at the Jaguar-Land Rover unit. At Corus, Tata Steel has initiated programmes such as “Weathering the Storm" and “Fit for Future I and II" to stabilize the Corus operations. Savings from “Weathering the Storm" are accruing faster than expected. The European unit has saved close to $450 million by cutting its workforce by one-fifth and switching to lower cost raw materials. “Fit for the Future" focuses on long-term cost-cutting measures that will result in savings of up to £300 million (Rs2,390 crore) every year on a continuous basis. “The rate at which we are going today, we believe the saving (in Corus operations) will be in excess of £800 million, or $1.2 billion," Tata Steel managing director B. Muthuraman said at a media briefing after the firm announced its June quarter results for its domestic operations. These moves have been acknowledged by analysts. “Tata Steel’s aggressive cost-cutting measures in Europe will ensure that Corus will emerge from the current downturn with a far-improved cost structure," said a July report by CLSA Asia-Pacific Markets analysts Abhijit Naik and Alok Rawat. “While the restructuring charges will keep FY10 profits under pressure, we see a sharp profit recovery in FY11 and FY12." The credit crunch has eased and liquidity has returned to the markets, and economists have been speaking about green shoots, or the first signs of an economic rebound. At Tata group, there’s no let-up in fund-raising as it refinances expensive short-term debt it took on to make its bulge bracket acquisitions. Tata Steel raised $500 million recently through a sale of global depository receipts (GDRs). Tata Motors is slated to launch a sale of equity-linked instruments. The firm plans to sell Rs2,000 crore of GDRs as early as this month, Mint reported on 14 September. Group units have also been raising unsecured debt. Tata Motors raised about Rs1,600 crore by inviting small investors to invest in fixed deposits with the company. The group has also been unlocking cross-holdings. Tata Motors sold Tata Steel shares and raised at least Rs485 crore, while Tata Chemicals Ltd bought shares in Rallis India Ltd from other affiliates, said Jairam Nathan, an analyst at Kotak Institutional Equities, in a report on the group. Tata Chemicals sold shares last week in Titan Industries Ltd to Tata Sons to raise about Rs100 crore. On Monday, the exercise to aid cash-strapped Tata Motors continued as the auto maker sold another lot of five million Tata Steel shares to Tata Sons, raising about Rs236.50 crore. “Thus, the unlocking of non-core investments in group firms is coming handy to pay off costly loans and fund expansion projects," said Nathan in the report. “If push comes to shove, Tata Sons has the financial flexibility to support a group company through stake sales."